Winter was on Thursday the one being backed for the Qatar Prix de l'Arc de Triomphe after Ryan Moore, who had the pick of five, chose to ride the dual 1,000 Guineas heroine on the logic that her stamina may be unproven but her class is not. The decision, made after discussions with trainer Aidan O'Brien and owners Coolmore, was swayed by Winter's impressive homework since her return to action from a bruised foot. 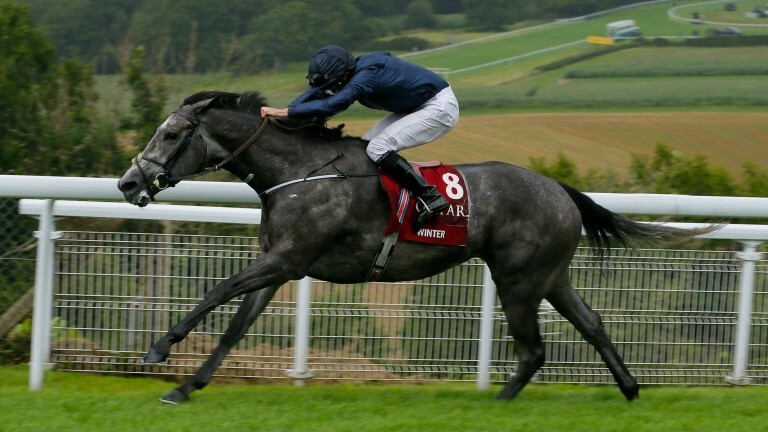 With the prospect of two-time Arc winner Moore for assistance in the saddle, Winter, the winner of four Group 1s this season, was promptly supported into a top-priced 9-1 (from 12s), eclipsing last year's third Order Of St George as the shortest-priced of O'Brien's runners. Explaining why he chose to ride Winter, who has yet to race beyond a mile and a quarter, ahead of Order Of St George, Idaho, Capri and Seventh Heaven, Moore said: "Winter is a high-class filly who has won four Group 1s and has won on the soft. None of us know if she'll stay a mile and a half until we try." 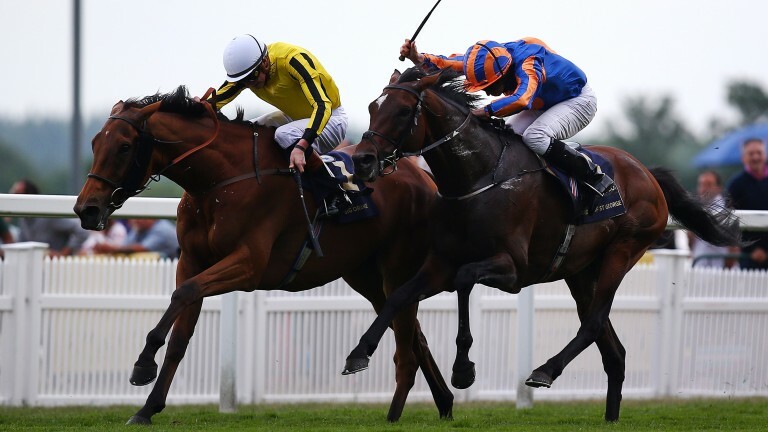 Order Of St George will be ridden by Donnacha O'Brien, while Wayne Lordan, who steered Winter to 1,000 Guineas success at Newmarket in May, will get the leg-up on William Hill St Leger hero Capri. The O'Brien contingent is completed by Idaho, who will be ridden by Seamie Heffernan, and Seventh Heaven, the mount of Pat Smullen - who has ridden for O'Brien snr just twice in Britain and Ireland in the last five years. Explaining the decision, O'Brien, who combined with Moore to win the Arc with Found last year, said: "We all talked things over before finalising riding plans. "Ryan rides Winter and while we can't be sure about her going a mile and a half for the first time, we've been very happy with her since she ran second in the Matron Stakes at Leopardstown." Last year's runner-up Highland Reel and part of O'Brien famous 1-2-3 did not feature among 18 declarations for the Chantilly showpiece, along with stablemate and Derby second Cliffs Of Moher . Enable, who like Winter is a dual Classic winner, was on Thursday the general 4-5 favourite ahead of Ulysses at 7-1. “The filly is well in herself – she’s a lovely filly and weighing more now than she did at the beginning of the year which is a good sign,” Enable's trainer John Gosden told Paddy Power. James Doyle has picked up a good spare ride aboard One Foot In Heaven for Alain de Royer-Dupre, a fast-finishing sixth in the race 12 months ago. Reigning French champion Pierre-Charles Boudot will be on Silverwave, but there is no place in the line-up for Olivier Peslier, the joint-record holder for the race with four Arc victories. The ground at Chantilly remained at 3.5 on the penetrometer or soft for the second day running on Thursday morning. Gold Cup hero Big Orange was one of seven declared for Saturday’s Group 1 feature the Prix du Cadran and Frankie Dettori takes the ride. Olivier Peslier has been booked by Tim Easterby to partner the veteran High Jinx, while Dettori will also partner the William Haggas-trained Call To Mind for the Queen in the Prix Chaudenay earlier in the afternoon. Sunday’s opening contest - the Prix Marcel Boussac - looks arguably the race of the day outside the Arc, with Charlie Appleby supplementing Wild Illusion and O’Brien leaving in the second and third from the Moyglare Stud Stakes, Magical and September. The highly-rated French trio of Polydream, Soustraction and Efaadah also remain on course for the Boussac, while further international interest is added with the unbeaten Narella from Germany. Moyglare winner Happily may be given the task of taking on the boys, having been left in the Prix Jean-Luc Lagardere after being taken out of the Boussac. All the main players have remained in the Foret and the Abbaye, for which Christophe Ferland has supplemented Rimini. Having been declared for the Arc, Winter and Seventh Heaven were withdrawn from the Prix de l’Opera, a race in which O’Brien can still choose from Hydrangea, Rhododendron and Rain Goddess. Final declarations and jockey bookings for the five Group 1s other than the Arc will be made on Friday morning. The big debate: will Moore's mount Winter stay the distance at Chantilly?